MONTREAL -- More than 200,000 customers remained without power in Quebec Tuesday afternoon, and the province's public security minister said most should prepare for a second night in the dark. Genevieve Guilbault told reporters Tuesday in Quebec City that winds and snow were creating problems for the 425 Hydro-Quebec crews dispatched to hard hit regions. "There are heavy winds, and the weather isn't amenable for this kind of work, so the vast majority should get power back early Wednesday," Guilbault said. Hydro-Quebec said that without an improvement in the weather, blackouts could last even longer for some customers. "The current weather is making restoration efforts difficult," the utility said in a statement on its website. "As a result, the most severely affected areas might only see their service restored Thursday." Hydro-Quebec reported about 213,000 customers were without power as of 4 p.m. EDT Tuesday, largely centred in the Laval, Lanaudiere and Laurentians regions. 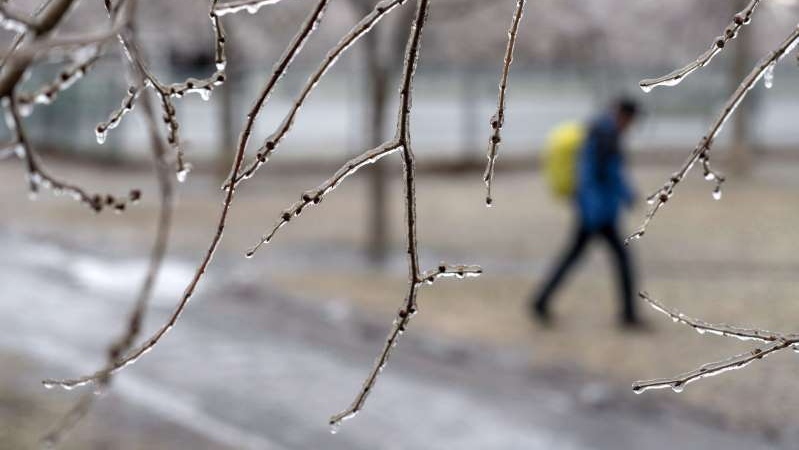 High winds and freezing rain rolled into the area north of Montreal on Monday, leaving ice accumulation on trees and knocking down power lines. Quebec Premier Francois Legault called on people to exercise caution and get in touch with their towns if they need a place to stay. "There are many families in Quebec who risk spending a second night without electricity, so I'm asking everyone to be prudent," Legault said. Hydro-Quebec said one the most affected regions was Laval, a densely populated suburb just north of Montreal, where a little more than a third of customers remained without power one day after the storm. Officials said Tuesday that police were patrolling the city as phone service was down in some neighbourhoods. Sylvain Gariepy, operations chief for the Laval fire department, said firefighters went door-to-door to check on seniors and those most vulnerable. Gariepy warned people of the dangers of carbon monoxide poisoning from barbecues and generators. Four adults and five children were taken to hospital in three separate cases after using barbecues indoors or having generators too close to their homes. Firefighters reported high levels of carbon monoxide in the homes in each case, but no major injuries were reported. "Another family was taken to the hospital today -- three children and a mother," Gariepy said Tuesday afternoon. "The problem we're dealing with is people are putting barbecues in their house to heat or eat, they're using propane stoves or putting generators too close to the house." The City of Laval opened up two community centres for residents needing a place to stay warm, charge phones or have a shower. About 130 people were staying at the two temporary shelters. Numerous schools were closed in the region due to the lack of electricity. Hydro-Quebec said it is deploying all available crews to re-establish service as quickly as possible.